Windows XP is probably one of the worst hit of all the Windows OS. But surprisingly, there are still enterprises and users who stick to it. According to a study compiled by Net Applications last year, Windows XP was still running on 10.9% of all desktops and is the third-most popular desktop OS, falling behind only Windows 7 (51.9%) and Windows 10 (14.2%). So if you are someone who falls in this category, who has gotten used to Windows XP and is unwilling to update, then what you need is a powerful antivirus that is capable of handling zero-day exploits and the challenges thrown by the ever-changing security threat landscape of today. How Does Comodo Antivirus Protect Windows XP? Comodo Antivirus comes equipped with impressive security features that make it the best antivirus for XP. Not just XP but Windows 7, Windows 8 and Windows 10 as well. The technologies it makes use of – Default-Deny Approach, Containment, HIPS, Cloud-Based Instant Malware Analysis - ensures that malware (be it zero-day or any other type) is stopped in its tracks and is rendered inactive. Why Is Comodo Antivirus The Best Antivirus For XP? Uses Default-Deny Approach - a technology unique to and developed by Comodo which ensures all files or applications – especially the unknown – are denied entry by default until they prove themselves to be harmless. Whether these files are harmless or not is tested using Containment technology. Highly efficient in tackling today's zero-day exploits. Implements Containment Technology - technology which supports default-deny approach by 'containing' unknown files (which could be good or bad) by running them in a separate container without allowing them to affect your PC(s). They are given access only when they prove themselves to be entirely harmless. Employs HIPS (Host Intrusion Prevention System) - technology which effectively monitors all applications and processes running on your PC(s) and thus prevents malicious programs (if found) from taking control of your operating system. Uses Viruscope - another technology unique to and developed by Comodo which, using a system of behavior recognizers, not only detects unauthorized actions but allows PC users to completely undo them. The ability to undo undesired actions is an efficient way of combating malware. Contains Advanced Firewall Engine - The customizable firewall offers solid security against inbound and outbound threats. This implies protection against hackers, malware, and identity theft. Moreover, it's backed up by features like Stealth Mode (for keeping PC(s) under the radar), Auto-detection of Trusted Zones, predefined firewall policies, etc. Cloud-Based Instant Malware Analysis - This ensures the behavior of unrecognized files is analysed thoroughly for malicious activity by the Comodo Instant Malware Analysis (CIMA) server before they are granted access to your PC(s). Secure Wireless Connectivity - The users of Comodo Internet Security (CIS) have the option of using TrustConnect for securing their WiFi connections when using public WiFi. Extremely useful for those who are always on the move and therefore have no option but to use public WiFi. 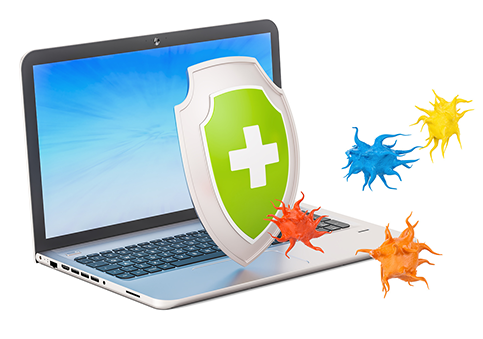 Virus Removal Service - PC users who are infected with a virus and other such malware can get their PC(s) repaired in no time by making use of the malware removal service which is a part of Comodo Internet Security (CIS). 24/7 Available Support - Comodo Internet Security (CIS) users are also bestowed with the privilege of seeking the support's assistance any time. All PC users have to do is just give us a call and our support team will be glad to help you out. Windows XP has serious flaws. But as with all security best practices, PC users choose to ignore these flaws for various reasons. Like, for example, costs associated with the upgrade and the not-so-good Windows Vista which immediately followed XP. Whatever the reason, one thing's for sure. Microsoft stopped extending support to Windows XP long back (in 2014 to be precise). This means no security patches. Which, in turn, means Windows XP will always remain vulnerable – unless you secure it using the best antivirus for XP like the free Comodo Antivirus or Comodo Internet Security. Download Free Comodo Antivirus Now! Protect 3 PC(s) For Only $39.99 per year! Protect 5 PC(s) For Only $89.99 per year!